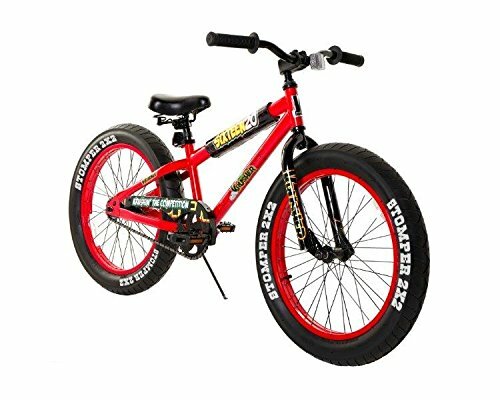 Best 20 inch Bikes for Boys ages 7 , 8 and 9 years old! 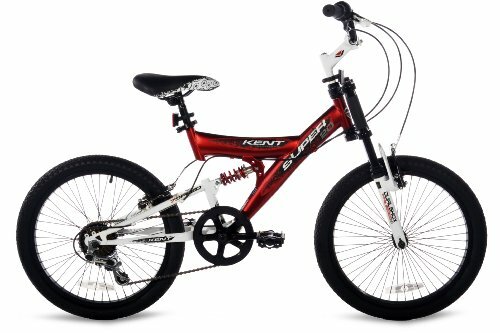 Best 20 inch Bicycles for Boys ages 7 to 10 years old! Little boys usually love riding a cool bicycle and they should! 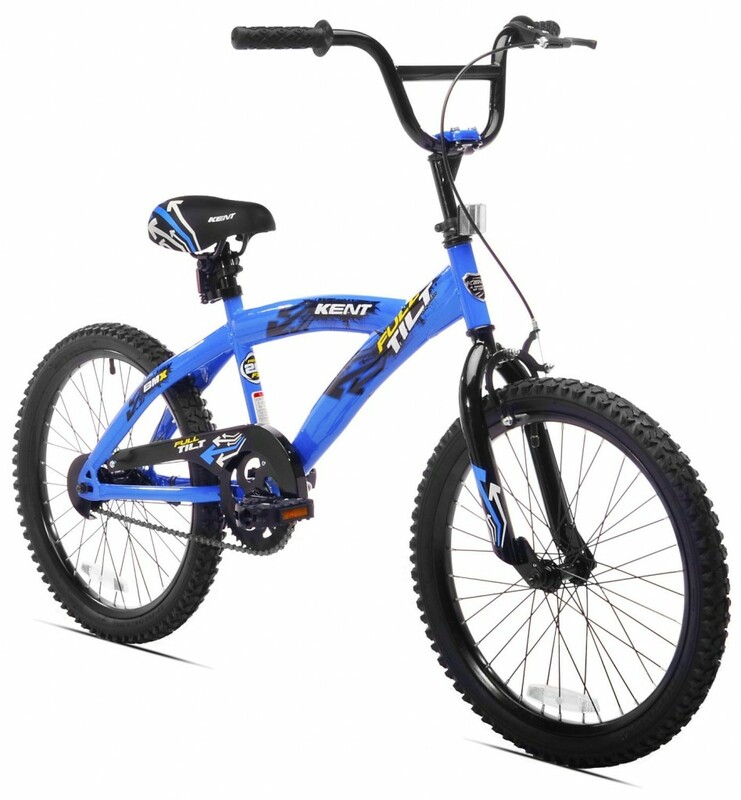 If you have a boy between the ages of 7 and 10 years old the best bicycle for him will probably be a 20 inch size bike. I gathered here a few of the best reviewed 20 inch bikes for boys being sold right now so you can find the perfect one for your little boy! They make awesome Christmas gift ideas for boys! Gorgeous 20 inch Orange Mountain Bike for Boys! 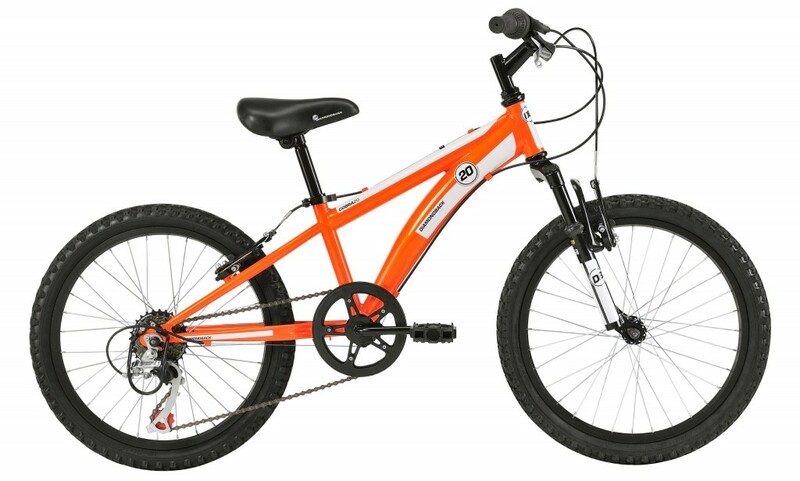 This is a gorgeous bright orange and black heavy-duty 20-inch mountain bike for boys! It is very easy to assemble and will fit boys ages 7, 8 to about 10 years old! The gears are easy for them to shift and it will ride well on tougher surfaces, since it is a mountain bike. Overall it is a great looking boy’s bike! 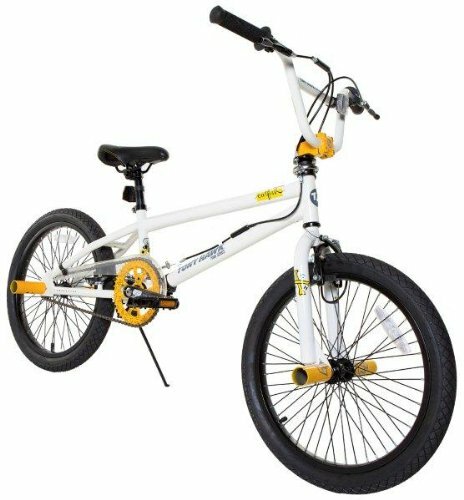 Cool Freestyle Bicycle for Boys Ages 8 and 9 Years Old! 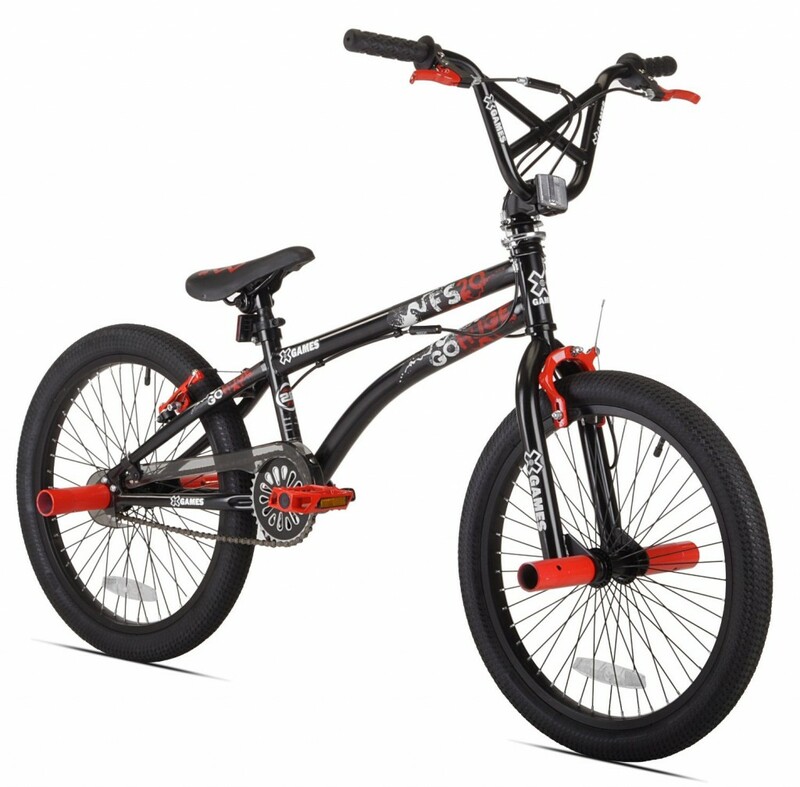 This is a beautiful looking red and black 20 inch freestyle bike for boys! It is very smooth to ride and such a pleasure! 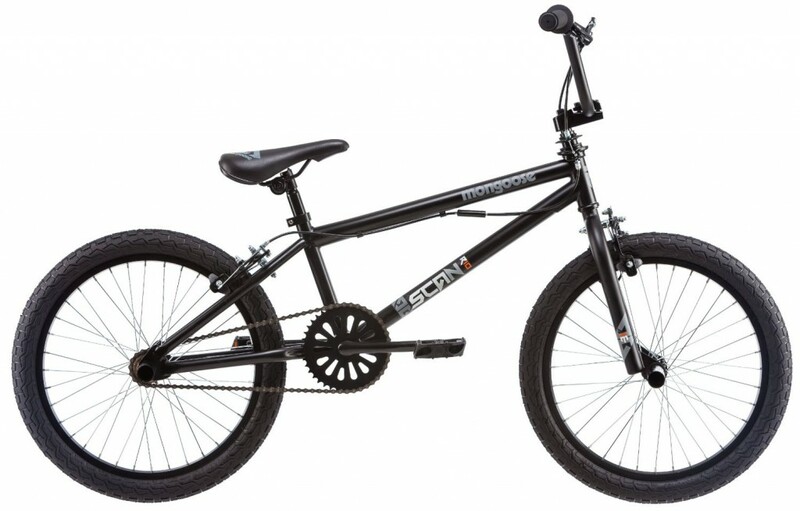 The frame is very sturdy, the tires are great and it’s perfect for riding on paved roads or skate parks! It also makes a great first bike for boys! Another nice and affordable high-quality 20-inch boy’s bike for sale! It has a beautiful blue and black color and and nice and strong steel frame! 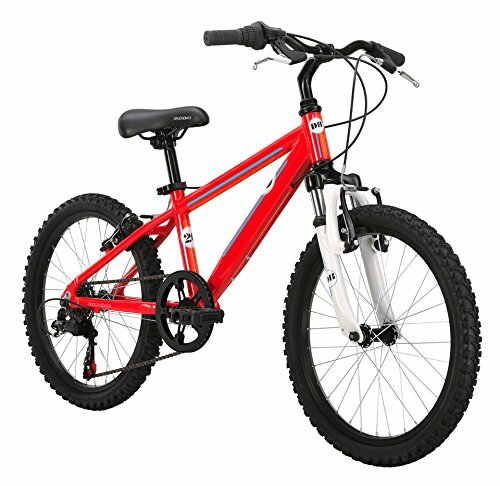 What a gorgeous 20-inch sturdy mountain bike for boys! It is very smooth and perfect to ride on all kinds of terrains! It also has 7 speeds and dual suspension! Sturdy 20-inch Schwinn Bike for Boys! If you are looking for a nice and sturdy great quality 20-inch bicycle for boys, I think you are going to like this beautiful Schwinn boy’s bike for sale! It is a great looking bike! It has a nice and strong steel frame and fork and nice and tall handlebars! It is very easy to put together, will probably take you about 10 minutes. Another great feature is that it offers both kind of brakes: coaster and handle brakes! This is a very cool Mongoose boy’s bike for sale! The quality is great and it takes 10 minutes to assemble! Perfect size for a 9 and 10 year old boy! Gorgeous John Deere 20″ Boys Bicycle! 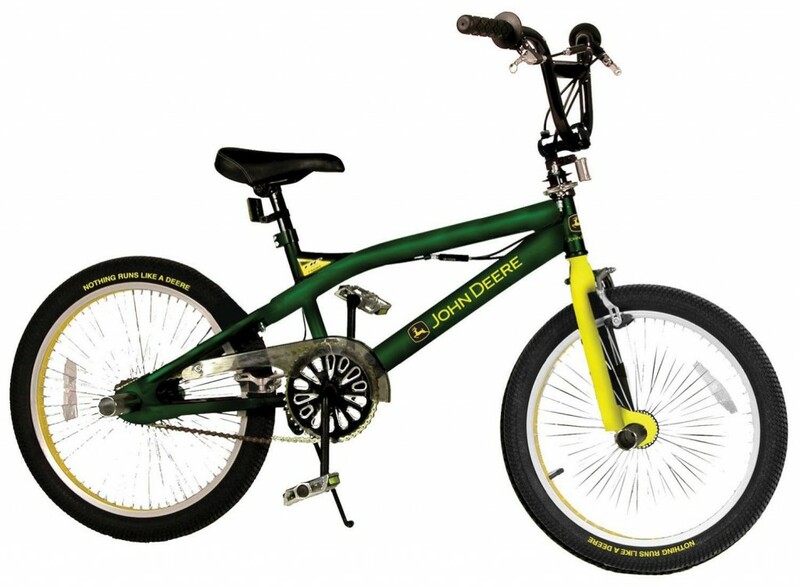 This is a gorgeous green and yellow John Deere durable boy’s bike for sale! It is a very strong awesome bike! Takes about 20 minutes to assemble and fits most boys ages 6 and 7 to about 11 years old! It has handbrakes and a very nice padded seat. Stylish White and Gold 20 inch Boy’s Bike! This is a very cool looking and very stylish white and gold 20-inch boy’s bike for sale! Dads who bought this bike for their sons say it’s tough and sturdy and will ride nicely everywhere! Gorgeous Black and Red 20-Inch Boy’s Bike! 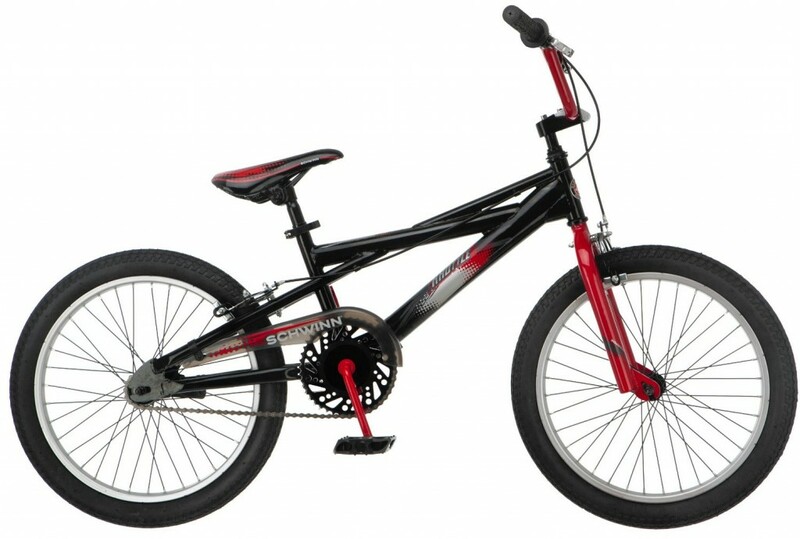 What a fun looking beautiful black and red BMX style steel frame 20-inch boy’s bike for sale! It has coaster brakes which are great to control the bike! Will definitely make an awesome Christmas gift idea for 8 and 9 year old boys! How about checking out some cool power scooters too? Best Power Scooters for Kids!